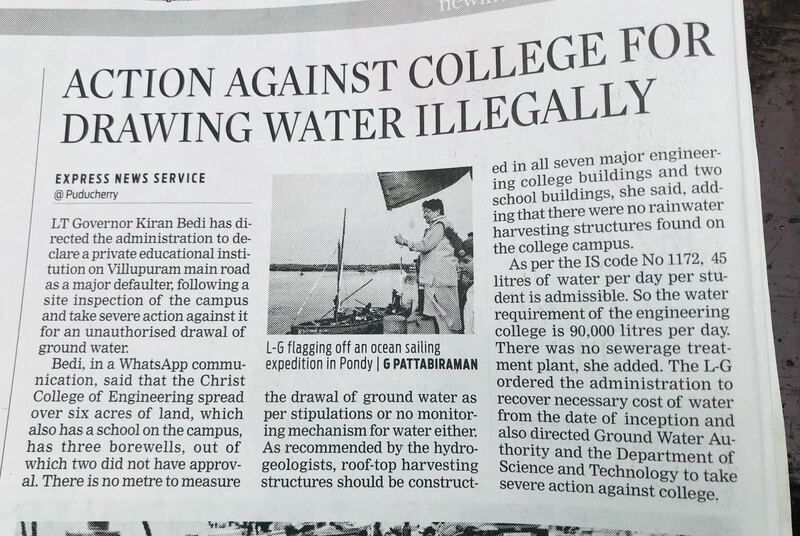 Kiran Bedi: Its tragic to see many educational institutions callous towards water conservation needs. 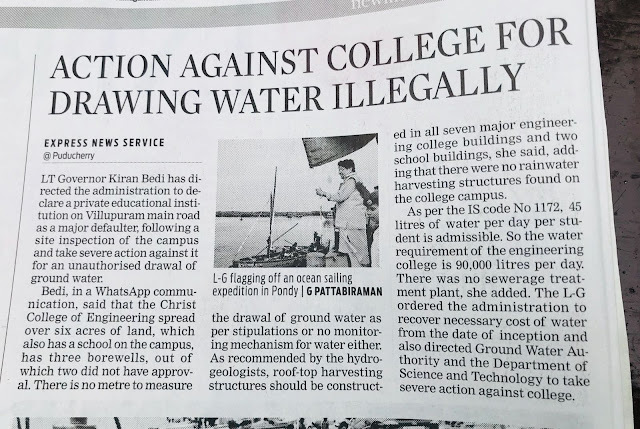 Its tragic to see many educational institutions callous towards water conservation needs. This is despite so much of awareness/appeals.. In fact educational institutions ought to have been in the forefront of sensitising young generations towards social needs which is as much their own survival..
What kind of youth are we mentoring as educationists? What kind of teachers are we? Which is why today the poor have to suffer due to serious water pollution. Their water has been sucked out. Some areas have become cancerous because of water contamination across the country. At least the minimum duty we have is to conserve and save. And also generate it back? Learn to do so. Public officials too must go on vigilance checks on a regular basis to identify such culprits and name and shame them. As nothing else seems to matter to them. They are selfish. At least let us not add to a generation of youth which will be indifferent to other rights. In the end they will be left with nothing for themselves too.